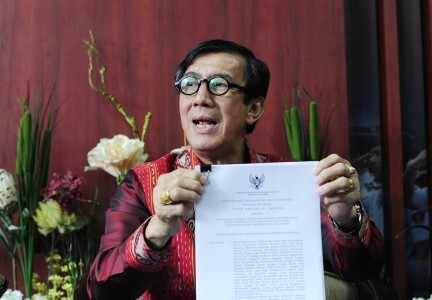 JAKARTA, GRES.NEWS – Following his win in the pretrial against the Corruption Eradication Commission (KPK) in the e-KTP (resident electronic identity card) corruption, Setya Novanto has begun ‘sweeping’ the Golkar Party who were disloyal to him during his struggle. The party’s Coordinator for Politics, Law and Security, Yorrys Raweyai, was one of the cadres he dismissed to be replaced by retired lieutenant general Eko Wiratmoko. Yorrys has been vocal to demand Setya’s resignation, reasoning that the Golkar Party’s image and electability has slumped because of Setya, the party’s chairman. Meanwhile, Yorrys said he has not received any confirmation on the news. "I haven’t been confirmed. I am not going to make assumptions. This is a political party, we have a mechanism [to dismiss cadres from their position]. This is not a company. We can’t just dismiss people," he said. Previously, the Golkar Party Young Cadres (AMPG) had attempted to show their support for Setya by pressuring Yorrys. They filed a report against the later for insulting Setya Novanto on his health condition. Meanwhile, Golkar Party Secretary General, Dave Akbarshah, fears that Yorrys dismissal will create turmoil in the party. 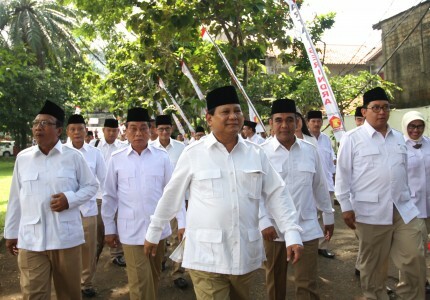 "This may create new turmoil in the party," he said, Jakarta, Tuesday (3/10).